From the fields and forests of war-torn Europe to the jungles of Southeast Asia, from the deserts of Iraq to the mountains of Afghanistan, brave patriots have protected our Nation's ideals, rescued millions from tyranny, and helped spread freedom around the globe. America's veterans answered the call when asked to protect our Nation from some of the most brutal and ruthless tyrants, terrorists, and militaries the world has ever known. They stood tall in the face of grave danger and enabled our Nation to become the greatest force for freedom in human history. Members of the Army, Navy, Air Force, Marines, and Coast Guard have answered a high calling to serve and have helped secure America at every turn. Our country is forever indebted to our veterans for their quiet courage and exemplary service. We also remember and honor those who laid down their lives in freedom's defense. These brave men and women made the ultimate sacrifice for our benefit. On Veterans Day, we remember these heroes for their valor, their loyalty, and their dedication. Their selfless sacrifices continue to inspire us today as we work to advance peace and extend freedom around the world. I received dozens of emails about the left-handed salute photo included yesterday in the official VA announcement about veterans now having the lawful right to salute our flag. Saluting our flag is an obligation of men and women who actively serve, whether or not they are in uniform. As announced yesterday, military veterans now have the lawful right to salute. Non-military Americans do not have share in that right. Non-military Americans continue the privilege (in some places they are required) of placing their right hand over their heart. However, because unidentified veterans in civilian dress now have the right to salute our flag many non-military Americans who witness unidentified veterans saluting will mistakenly believe they also have the right to salute. Military veterans can help police the law and maintain their exclusive right to salute, while at the same time educate non-military Americans simply by ensuring that when you attend a public gathering where the National Anthem is played you ALSO wear a military item, such as a medal, ribbon, Association cap or other item that clearly identifies you as a military veteran. Congressionally chartered veterans organizations have the responsibility to educate crowd announcers to correctly inform attendees that ONLY the military and military veterans may salute while non-military attendees should place their right hand over their hearts. Saluting our flag is a obligation and now a right extended only to those who are serving or have served. Let's all work together to ensure our right (and obligation) is not abused, while at the same time serving as a highly visible encouragement to young people to join our military in order to gain our right to salute. Lastly, veterans who are unable to salute with their right hand are permitted to salute with their left hand. Again, please wear a medal, ribbon or other item that clearly identifies you are a veteran so that non-military Americans who witness your legal right to salute will not be misled to believe they share your rights. WASHINGTON (Oct. 30, 2008) -- Veterans and active-duty military not in uniform can now render the military-style hand salute during the playing of the national anthem, thanks to changes in federal law that took effect this month. "The military salute is a unique gesture of respect that marks those who have served in our nation's armed forces," said Secretary of Veterans Affairs Dr. James B. Peake. "This provision allows the application of that honor in all events involving our nation's flag." not address salutes during the national anthem. Last year's provision also applied to members of the armed forces while not in uniform. Traditionally, members of the nation's veterans service organizations have rendered the hand-salute during the national anthem and at events involving the national flag while wearing their organization's official head-gear. anthem by veterans and out-of-uniform military personnel, was sponsored by Sen. Jim Inhofe of Oklahoma, an Army veteran. It was included in the Defense Authorization Act of 2009, which President Bush signed on Oct.
passing of the flag, was contained in the National Defense Authorization Act of 2008, which took effect Jan. 28, 2008. Help looking for Veterans who served in Berlin Germany between 1958-63 in the Northland K.C. area for newspaper interview . All KS and MO vets who are interested please contact me at sean.eagan@gmail.com 716-708-0130 or 716-720-4000. Veterans of the former 664th Aircraft Control & Warning Squadron and local dignitaries will gather at the entrance of the Ohio Hi-Point Career Center, 2280 State Route 540, at 9:30 a.m. Monday for the dedication of a marker commemorating the base's 18 years of service to national security. 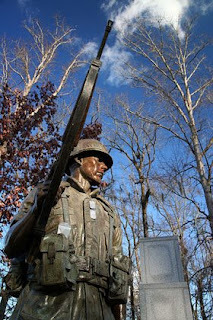 Base veterans commissioned the sign at their own expense to keep the memory of the base alive and to honor those who served here and dedicated a part of their life in service to their country, as the marker reads. This generation doesn't really know that the base was here or what (it) did, said veteran Larry Lewis, who spearheaded the acquisition. The radar towers of the former 664th Aircraft Control & Warning Squadron base are pictured at the peak of Campbell Hill. Personnel of the former 664th Aircraft Control & Warning Squadron base, located on the current site of the Ohio Hi-Point Career Center, line up in front of barracks. (The base) should be remembered for generations to come. For nearly two decades, Campbell Hill was home to the radar station and some 1,700 servicemen and servicewomen and civilian employees who passed through its gates from 1951 to 1969. As Ohio's highest point, Campbell Hill was chosen by the federal government to be part of the North American Air Defense Command during the Cold War era. An Ohio historical marker at the peak of Campbell Hill relates how base military and civilian operators used sophisticated radar and computer equipment to locate and identify aircraft as friendly or suspicious and then relayed their information to a central base in Michigan. The base was not only a great asset to national security, but a source of pride and income for the local community. (The base) put a lot of money in this town, related Mr. Lewis. After the base closed in 1969, many staffers chose to stay and make Bellefontaine and Logan County their permanent homes and some continue to reside here. Base veterans reunite annually at the center and they sponsor a scholarship program at the career center. Long live the memory of those who served. WASHINGTON, Oct. 28, 2008 – The next president will “take a fresh look” at plans for a missile defense system in Eastern Europe, Defense Secretary Robert M. Gates said today, but he dismissed Russian objections to the system as politically based. Gates noted proposals the United States has offered to help reassure Russia. One would allow Russia to have representatives at each site, if the host nation agreed, to provide technical monitoring of activities. Another would be to base a common-data-sharing center in Moscow. He said he assured Russian Prime Minister Vladimir Putin when Putin was president that the United States would not make the sites operational until the Iranians had tested a missile that could reach most of Western Europe, including parts of Russia. “We have provided transparency in a number of ways,” Gates said. While the Russian military “has shown some interest in this,” Russians have “chosen to make an issue of the notion,” for political reasons, he said. Meanwhile, Gates said, he believes it’s likely the United States and Russia will arrive at an agreement when the Moscow Treaty expires. President Bush and Putin signed the Moscow Treaty on Strategic Offensive Reductions in 2002, calling for both countries to reduce their strategic nuclear warheads to a level of 1,700 to 2,200 by 2012. Gates said he believes there’s “a willingness and ability to make deeper reductions,” but said any new agreement must include the same verification procedures included in previous arms-control agreements. Tuesday, November 11th is Veterans Day! On the 11th day and 11th hour of November, the parade will stop and the bugler will play taps in honor and memory of the men and women who gave their lives for the freedom we enjoy. Please take a few minutes on the 11th to thank a Veteran. You may also wish to do this in person at the many Veterans Day parades held around this great nation. As we elect a new American president, let´s remember those who stood for liberty that we may continue to freely exercise our right to vote. During July 2008, a California newspaper article caught my eye about a World War II Veteran, John Finn, of San Diego . The San Diego News described Finn as not only the first recipient in World War II to be awarded the Congressional Medal of Honor but, at 99 years old, also the oldest recipient of the military´s highest award. When the Japanese attacked Pearl Harbor , Finn found whatever weapon he could find to fight back despite being wounded 21 times. Veterans Day, to me, is about American patriot Patrick Henry who said, "It can not be emphasized too strongly are too often that this great nation was founded not by the religionists but by Christians, not on religion but on the Gospel of Jesus Christ." Can you imagine what people might say today about such a bold statement as this? There was a time when his words were the soul of our nation. And let us remember that General George Washington led his troops in prayer before they crossed the Delaware River on a cold-snowy night to surprise the British and Hessian troops on December 26, 1776. They gained a great victory in the worst of conditions. Our children should know of Andrew Jackson and a ragtag army who defeated the British at New Orleans in 1815. A young officer named Wade Hampton of South Carolina rode 750 miles in ten days to Columbia, South Carolina, and then to Washington, D.C. to tell President Madison and the country of the great victory. We shall never forget that in March, 1836, a small band of men at the Alamo stood between Santa Anna's 5,000 man army and the unprepared small army of Sam Houston. In the lonely monastery were Davy Crocket, Jim Bowie and less than two hundred men. Just three days before Santa Anna's final assault, these men came into the Alamo , knowing they might die. On their last night on earth the Alamo men prayed that their battle would, somehow, lead to victory even though they might die. Their prayer was answered. A few days later at San Jacinto, Houston defeated Santa Anna with the battle cry of, "Remember the Alamo !" Let us remember 1861 when our nation became two nations. The South under President Jefferson Davis and the North under President Abraham Lincoln, fought for four long, bloody years to decide our future. Both armies prayed to the same God for guidance. This war has many names but the United States Congress would officially name it "The War Between the States." Since 1865, the Confederate Battle flag has been the blood brother of the Stars and Stripes as Southerners have taken their place at the front in all our nation's wars. Let us remember that in February of 1898 the American Battleship Maine blew up in Havana Harbor with nearly 300 dead. The Spanish-American War brought Teddy Roosevelt's "Roughriders" to Cuba to charge up San Juan Hill to victory. Old Joe Wheeler, an ex-Confederate Cavalry General, was there with him. Wheeler got so excited that he forgot which war he was in. He shouted, "There they are, go get those Yankees!" In Greensboro, North Carolina a six year old girl named Mary Frances Barker awoke to the shouts of a boy far down the street. It was 5 A.M., November 12, 1918. It was the paper boy shouting, "The War is over, the war is over!" World War I had finally ended on the 11th day of the 11th hour of the 11th month of November in 1918. The United States Congress proclaimed "Armistice Day" a year later on November 11, 1919. On Sunday, December 7, 1941, the first word of the attack on Pearl Harbor came by radio. Newspapers did run "extras" that Sunday with little information and a lot of fear. This Sunday would become "a day of infamy." On Monday the 8th President Franklin D. Roosevelt, during a special session of congress, told of the attack and declared war on Japan . His speech was broadcast on the radio. F.D.R. 's closing words were: "With the abounded determination of our people, we will gain the inevitable triumph, so help us God!" Since that time there has been Korea , Vietnam , Grenada , Desert Storm, Afghanistan and Iraq .We can not forget that we were attacked again on September 11, 2001. We have, since World War II, seen prayer taken out of our schools and "Under God" in the pledge of allegiance under attack. Are we still a nation of God as we once were during the times of our founding fathers and mothers? With all that is happening in the world today, it seems to me that we may need God more then ever. In 1954, The United States Congress passed Bill HR7786 and President Dwight D. Eisenhower signed it changing Armistice Day to Veterans Day. America must remember those who served our nation! To forget is dishonor. Army.TogetherWeServed.com, in just over 2 months, already features over 22,700 Member Profiles - More than 8,000 Soldiers joined the site in the last 30 days! Log in today to see if anyone you served with is now on board and looking for you! This month marks the 25th Anniversary of the bombing of the Marine Barracks in Beirut, Lebanon on 23 Oct 2008. On Sunday, October 23,1983 at approximately 6:20 a.m. 241 Marines, sailors and soldiers were killed and hundreds of others were wounded or disabled. This was the result of a suicide truck, laden with explosives carrying the equivilant of 20,000 pounds of TNT that detonated on the ground floor of BLT 1/8 headquarters barracks in Beirut, Lebanon. The largest non-nuclear explosion of its time. Other servicemen from 1982-1984 perished from sniper fire and other atrocities. Others died years later or are permantly disabled as the result of their wounds. This makes a total of 270 Marines, sailors and soldiers that died during a peacekeeping mission. We honor the memory of those Marines who paid the ultimate price on that dreadful day and pray for peace and healing for their families on this difficult anniversary. Click this link to the Tribute in this month's newsletter. WASHINGTON (AP) — The mighty U.S. arsenal of nuclear weapons, midwived by World War II and nurtured by the Cold War, is declining in power and purpose while the military's competence in handling the world's most dangerous arms has eroded. At the same time, international efforts to contain the spread of such weapons look ineffective. The chairman of the Joint Chiefs of Staff, Adm. Mike Mullen, wrote in the current issue of an internal publication, Joint Force Quarterly, that the United States is overdue to retool its nuclear strategy. He referred to nuclear deterrence — the idea that the credible threat of U.S. nuclear retaliation is enough by itself to stop a potential enemy from striking first with a weapon of mass destruction. "Many, if not most, of the individuals who worked deterrence in the 1970s and 1980s — the real experts at this discipline — are not doing it anymore," Mullen wrote. "And we have not even tried to find their replacements." "The last nuclear design engineer to participate in the development and testing of a new nuclear weapon is scheduled to retire in the next five years," Chilton said. Of the two senators competing to succeed President Bush, Democrat Barack Obama is most unequivocally against building new nuclear weapons. Both he and Republican John McCain say in their campaign materials that they support the long-standing U.S. commitment to eventually do away with nuclear arms. Neither says explicitly that the safety or credibility of the arsenal is in question; that's an argument made most frequently by congressional Republicans. Sen. John Kyl, R-Ariz., for example, said in a speech Sept. 15 that the network of laboratories and industrial plants that produce and maintain U.S. nuclear weapons is, in some cases, "simply falling down from age," and that this amounts to an alarming national "emergency." Some private experts dispute Kyl's assessment. "It's completely overblown," said Hans M. Kristensen, who tracks nuclear weapons developments for the Federation of American Scientists. The advocacy group opposes the Bush administration's proposal to develop a new nuclear weapon design. The number of nuclear weapons in the U.S. arsenal is a state secret. But Kristensen and a fellow expert, Robert S. Norris, estimate that the total stood at nearly 5,400 warheads at the start of this year. That includes an estimated 4,075 ready for potential use and 1,260 in backup status. In an interview, Kristensen argued that even though the number is declining, the capability of remaining weapons is increasing as older missiles, for example, get new engines, guidance sets and computer software. Gates takes a different view. He has expressed concern about lack of official attention to the nuclear arsenal. "Even though the days of hair-trigger superpower confrontation are over, as long as other nations possess the bomb and the means to deliver it, the United States must maintain a credible strategic deterrent," he said Sept. 29 in a speech at the National Defense University. Gates tied the question of credibility to well-publicized slip-ups in Air Force nuclear operations. In June he fired the Air Force's top general, Michael Moseley, as well as the top civilian, Michael Wynne, after an outside investigation concluded that the Air Force had not adequately heeded warning signs that its nuclear expertise, performance and stewardship were eroding over a period of years. In August 2007, a B-52 bomber flew from an Air Force base in North Dakota to a base in Louisiana with nuclear warheads that neither the bomber's pilots nor its crew knew were aboard. Then came the revelation that electrical fuses that trigger the detonation of strategic nuclear missiles had been shipped mistakenly to Taiwan — and the mistake was not discovered for months. Richard Wagner, a physicist who worked in the government's nuclear weapons laboratories for many years, told a conference in Washington this past week that the August 2007 incident was "the worst breach of security of nuclear weapons that the United States has ever had." MOSCOW (Reuters) - Russia will offer to share its air defence expertise with Cuba when a military delegation visits the Caribbean island this week, Interfax news agency reported on Monday. "The Russian and Cuban military will exchange experience in organising tactical air defence and in training officers," Interfax quoted Russian Land Forces spokesman Igor Konashenkov as saying. The two sides will "discuss the prospect of training Cuban servicemen at the tactical air defence academies and training centres in Russia, using upgraded Russian-made military hardware," Interfax quoted him as saying. The delegation, led by the chief of Russia's tactical air defence headquarters, Lieutenant General Alexander Maslov, will also look at "ways to strengthen relations between the Russian armed forces and the Revolutionary Armed Forces of Cuba," Konashenkov was quoted as saying. The delegation will be in Cuba from Monday until November 3, Konashenkov was quoted as saying. Reuters could not immediately reach Konashenkov for comment. In 1962, Cuba became the focus of the deepest crisis of the Cold War after the Soviet Union installed missiles there, prompting a standoff with Washington. The island's government remains hostile to the United States. In the past few months, Moscow has stepped up contacts with both Cuba and Venezuela, another South American critic of the United States. Both John McCain and Barack Obama have been critical of Russia, particularly in light of the Georgian crisis. But Moscow favors the young Democrat over the Cold War veteran. John McCain's US presidential campaign begged at the enemy's door this week when a wayward fundraising letter reached the desk of Russia's UN envoy Vitaly Churkin in New York asking for a donation. The Russians wouldn't spare a ruble for the Republican, and sent McCain a sardonic message saying that, unlike the United States, the Russian government does "not finance political activity in foreign countries." US laws would have prevented them from donating had they wanted to send McCain a check. Russian officials, in fact, aren't banking on either McCain or Democratic candidate Barack Obama mending relations upturned by Russia's recent war with US-ally Georgia. But the preference among Russians is reported to be in favor of Obama because he represents a clean slate and will be more open to new proposals, according to Konstantin Kosachyov, head of the Russian Duma's Foreign Affairs Committee and a senior figure in the dominant pro-Kremlin party. Both US candidates took a harsh stance on Russia in a recent debate when asked if the late US President Ronald Reagan's designation of the former Soviet Union as the "evil empire" still applied to modern Russia. McCain said "maybe" while Obama, who has moved closer to his opponent's hard-line stance since the war in Georgia, said Russia exhibited "evil behavior" in that conflict. Nonetheless, Kosachyov said this week that McCain's anti-Russian bias was deep-set while Obama was a more "comfortable" choice. "McCain got his political formation during the Cold War," Kosachyov told news agency Interfax. "He dedicated most of his life to the fight against communism. It's clear that to this day he still thrashes along that front without seeing any real difference between the Soviet Union and modern Russia." The Kremlin has had good, even personal, ties with Republican presidents. Nikita Khrushchev visited Dwight Eisenhower in the US. Leonid Brezhnev and Richard Nixon signed the first US-Russian arms control treaties. Mikhail Gorbachev and Ronald Reagan saw their countries through the end of the Cold War. But Russian leaders sat up and took note when McCain poked fun at US President George W. Bush for saying he looked into his Russian counterpart Vladimir Putin's eyes and "got a sense of his soul." McCain quipped that he saw something else -- "three letters -- a K, a G and a B," referring to the former president and now prime minister who was a high-ranking KGB intelligence officer until the fall of the Soviet Union in 1991. Democratic presidents are more difficult partners for Moscow because they tend toward a more complicated foreign policy view in contrast to the tough-styled Russian realism, Russian observers said. The closest the two countries ever came to nuclear war, they point out, was the 1962 Cuban missile crisis under the late US president John F. Kennedy, to whom Obama is often compared. Democratic President Jimmy Carter led a boycott of the Moscow 1980 Summer Olympics, while Russia blames Bill Clinton for pushing Kosovo toward independence from Serbia. "Russian authorities would find it more difficult to deal with Obama," Andrei Kortunov, head of the Moscow-Based New Eurasia Foundation, told Ria-Novosti news agency. "He will make world affairs more complicated." But Kosachyov said his choice was based on the candidates' personal profiles over their political parties. "Obama doesn't differ particularly in his beliefs about Russia from the Republican candidate, but he is a young politician, without prejudices and so, more ready to take on a new proposals and approaches," he said. Kosachyov cited as an example Obama's more compromising stance on US plans to site a missile defense shield in eastern Europe, which Russia views as a security threat. The US candidates' Russia advisors reveal marked difference in how each may navigate the widening gulf between both countries. Obama's top Russia strategist, Stanford professor Michael McFaul, called Obama "an engagement guy, not an isolation guy." McCain's top Russia expert is Stephen Biegun, who served Bush on the US National Security Council from 2001 to 2003 and raises fears among Russian diplomats that a Republican president would perpetuate the current adversarial approach. US plans to site a missile defense system in eastern Europe and its support for Western military alliance NATO's enlargement into the post-Soviet space are, Moscow says, a direct threat to its security. In fact, Russia is battling the United States for influence in post-Soviet countries it views as its rightful sphere of influence and where the US is attracted by energy and strategic interests. Analysts in Moscow say part of the problem is that security troubles between the two Cold-War foes are not tempered by the business and energy interests that govern Russia's relations with the European Union -- its largest client for natural gas. Because VA Loans are insured by the government, there are a variety of money saving benefits available to home buyers. These include -- No down payment, no private mortgage insurance and VA loans offer excellent interest rates to borrowers. This video shows how specialists at VA Mortgage Center.com help Veterans save money by using these benefits. Sukhoi Su-25 Frogfoot ground-attack jets hit by surface-to-air missiles during the war in South Ossetia are under repair at the aircraft maintenance and repair facility. Experts say that the damages clearly indicate the use of an air defense missile system against Russian aircraft. YEONCHEON, South Korea (AFP) — Hundreds of colourful ribbons bearing messages yearning for peace flutter from a barbed-wire fence at the edge of the heavily fortified buffer zone dividing Korea. On a mountaintop is the Yeolseo Observation Platform, overlooking the Demilitarised Zone (DMZ) which has split communist North and capitalist South Korea since the 1950-53 war. Guard posts manned by rival armies face each other inside the four-kilometre-wide (2.5-mile) zone. Buses reach the observatory along a concrete road through a minefield. It's not the obvious setting for a tourist attraction. But South Korean provincial officials see potential in "peace tours" to the world's last Cold War frontier, once described by President Bill Clinton as "the scariest place on Earth". Yeolseo, in Yeoncheon County 70 kilometres (44 miles) north of Seoul, is one of six observatories built to overlook the DMZ. Selected tourists are allowed to walk along the fence marking the edge of the zone. But the military maintains tight control for security reasons -- the area was a major invasion route used by the North 58 years ago. The Yeolseo observatory drew just 35,000 tourists including 700 foreigners last year. The county has plans to attract more by building new roads through the military-controlled area abutting the DMZ. The truce village of Panmunjom, the only place where tourists are allowed inside the DMZ itself, has been a visitor attraction for decades. Business got a boost in 2002 when the Seoul government dropped requirements for visitors to apply for tours a week in advance. The Panmunjom tours are a major money-spinner, with some firms charging around 70 dollars a head. Visitor numbers at any one time are restricted for security reasons but the village drew about 150,000 people last year. 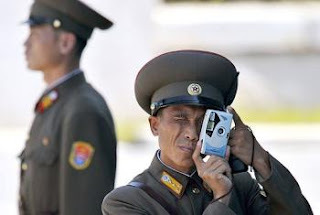 Authorities mindful of spectators from the North Korean side impose a dress code which bans faded jeans and miniskirts. Lengths of rusty barbed wire which were once part of the frontier are among a variety of souvenirs on offer. "Panmunjom, where you can see North Korean soldiers close up, is seen by foreign visitors as the most attractive destination," said Kim Yong-Kyu, a spokesman for 28,500 US troops stationed in South Korea. Now the two provinces which border North Korea -- Gyeonggi and Gangwon -- are trying to catch up. Gyeonggi, which covers 40 percent of the DMZ's 240 km length, in August opened a peace-themed park south of Panmunjom, featuring the history of Cold War division. Work started after US President George W. Bush visited Panmunjom in 2002. The province has spent about 11 billion won (8.5 million dollars) on building the park which includes a museum, an artificial lake and sculptures. "Foreigners have a wrong perception that the Korean peninsula is still in a state of war. It is true that the border remains tense but the mood is not like what it was," said Gyeonggi province spokesman Choi Moon-Hwan. Not to be outdone, Gangwon is also building a museum and a peace-themed park near the borderline. Its plans also include selling souvenirs such as rusty barbed wire, a wild flower from the DMZ, commemorative coins, medals and postage stamps. "Gyeonggi, which surrounds the capital, has a geographical advantage but our province has better natural resources and abundant war relics," said Gangwon provincial spokesman Kim Nam-Soo. Overall figures are not available. But local government officials estimate that a total of 1.5 million people visited observatories, infiltration tunnels or other spots somewhere along the DMZ last year. Gangwon is pinning its hopes for a tourism boom partly on an expected third bid by Pyeongchang county to host the Winter Olympics, this time the 2018 Games. It lost out to Vancouver for the 2010 event and to Russia's Sochi for the 2014 winter games. "Pyeongchang will try again. If its third bid is successful, our province will be able to turn the DMZ and nearby areas into one of the world's most attractive destinations," Kim said. Eleven days left where do you stand Senator McCain? Some veterans would like to know! 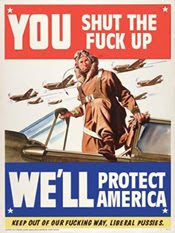 Over the last 18 months or so we here at American Cold War veterans have had one mission. Find out where candidates stand on S.1097 the Cold War Medal Act. For the most part we have been answered by the candidates though it has been difficult getting a straight answer in some cases. Just in the last week Barack Obama and Sarah Palin both pledged their support. Obama's letter to ACWV Illinois resident Frank Almquist Quote"I agree that the Cold War Victory medal would be an appropriate honor. 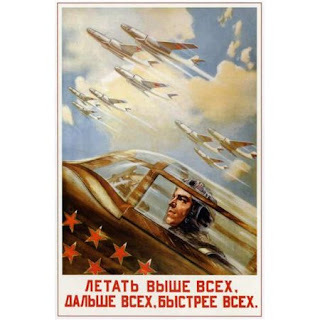 The Cold War was a period that required both skilled diplomacy and military readiness. For veterans such as yourself, who had to be prepared to fight a war that most people agreed would be catastrophic, there certainly should be some recognition of service and willingness to defend and go to battle for the United States." Sarah Palin was recently on the campaign trail in New Hampshire and she was posed the question do support a medal for Cold War service? She responded "I would support an American Cold War Veterans Medal 100%". Through the Primaries and now the general election not a single candidate has given a negative response and nearly all have responded in some form or another except one. We have faxed, written and called Senator McCain on numerous occasions and his silence has been deafening. With 11 days left until the election 22 million Cold War veterans would like to know where you stand Senator. Many of us share your values and admire your experience and stance on national defense especially your willingness to win the War on Terror and stop a new Cold War by facing down Russian aggression with strength. Given all of this your reluctance to publicly speak on a bill that would honor veterans of your own era is puzzling. This maybe your last chance to state your position on S.1097 time is running out. Do not take us for granted. This might not be a deal breaker when we go to the polls but then again for some of us it just might be. Department of Veterans Affairs regional offices have been ordered to immediately stop shredding documents after an investigation found some benefits claims and supporting documents among piles of papers waiting to be destroyed. Claims often include personal records supplied by veterans that are not duplicated in government files and might be difficult to replace, such as certificates for births, deaths and marriage. In a statement, VA Secretary James Peake said only a handful of documents were found among piles of documents set aside to be shredded. But he is not pleased. Peake said three of VA’s 57 regional offices were involved, without naming them. Veterans of Foreign Wars said they were told four regional offices — in Detroit, St. Louis, St. Petersburg, Fla., and Waco, Texas — were identified as having documents in shredding bins that should not have been there. VFW National Commander Glen Gardner said the problem could be significant. Peake said VA’s inspector general continues to investigate and that anyone who violated policies on protecting documents will be held accountable. Among the records found waiting to be shredded were applications for disability compensation, education benefits, home loans and pensions for low-income veterans, officials said. The halt in shredding was ordered by Patrick Dunne, the retired Navy rear admiral sworn in just weeks ago as VA’s new undersecretary for benefits. Dunne’s order aims to prevent any documents from being destroyed until officials can determine if this is a widespread problem. VA officials said a new policy will require regional office directors to certify, in writing, that none of the documents being destroyed are original copies of key documents or records. Current VA policies require that original copies of documents supplied by veterans or their families — including discharge papers and marriage and death certificates — be returned when they are no longer needed, but they allow duplicates to be destroyed, a practice intended to help protect privacy. VA officials discussed the problem in a conference call with veterans’ service organizations on Thursday, saying that the shredding ban is so sweeping that it includes the removal of portable shredders from beside the desks of VA workers. Garner, who was in on that conference call, said VA needs to establish internal controls. “We have to believe that the VA will right this wrong,” he said in a statement. He suggested that some claims may have been set aside for shredding by employees who did not want to complete them or were trying to hide a backlog. “VA needs an enforced and understood policy which preserves documents relevant to pending claims, without leaving veterans’ personal information open to identity theft,” Akaka said. He said he understands VA does not have room to store everything. “Some documents must be properly disposed of due to space constraints and privacy issues,” he said. DOD is licensing Unit Patches is this appropriate? Sound Off!!!! The deal to license First Division insignia riles veterans and congressional leaders. Thanks to Frank Tims for sending this along. Looks like some genius at DOD is licensing Sears to use army patches as "Army chic" wear. So pretty soon, people who never served will wear the insignia that we wore so proudly in uniform (and display as veterans). Leaving aside the "public domain" issue, Army Regulations prescribe how the patches may be worn (left shoulder if currently a member, right shoulder if you served in combat with the unit) -- these were never intended as fashion wear for soccer moms or spoiled brat clubbers. Appropriate wear for vets and families is okay, but the general public??? From Cantigny, France, and the Argonne Forest to North Africa, Normandy, Vietnam’s Iron Triangle and Iraq —and now hauteconcept.com? After days of questioning, the Army confirmed Monday the arrangement was first reached in June 2007 on the advice of an outside licensing agency, The Beanstalk Group in New York, but the full scope of the royalties to be earned has yet to be disclosed. “I’m astounded,” said Rep. John P. Murtha (D-Pa.), who chairs the House appropriations panel overseeing the Pentagon’s nearly half-trillion-dollar budget. “There is a great deal of concern among the senior Army brass about this deal,” said a Defense official. But Sears, Roebuck and Co. is already moving to market its 1st Division “collection” this fall, and All American Apparel Inc., a privately held New York manufacturer, told Politico on Saturday that it had license from the Pentagon to proceed. Caught most by surprise are combat veterans of the 1st Infantry Division, who see their familiar red-and-green shoulder patch splashed across Internet websites celebrating soldier chic. Charles Horner, a retired Army officer now working for Murtha, isn’t happy. He served with the 1st Division in Vietnam, as did his father in World War II, including landings in North Africa, Sicily and Normandy. Where the money goes — and how much — is a concern for the larger House Appropriations Committee, which has pressed the Pentagon for more answers. All American Apparel refused to discuss any financial details when questioned by Politico but said it will pay a royalty to the Army on each item sold by Sears. Burke said there is already substantial Internet trafficking in 1st Division items not sanctioned by the military. And as part of their marketing appeal, Sears and All American emphasize that the sanctioned products will yield revenue to help the troops. But the Pentagon’s own internal directives suggest that the licensing fees initially will go to a “clearing account” that is first used to defray the costs of the Defense Department’s larger efforts to enhance its “brand” with future young recruits. How this breaks down exactly is unclear. House Appropriations staffers said that the Army estimates $2.5 million has made its way into the morale and welfare account since the licensing program was authorized in 2005. But little apparently has been spent, staffers said. And a December 2007 Pentagon directive lists “providing financial support to morale, welfare and recreation activities” as seventh among the responsibilities assigned to the program. Higher priorities include “enhancing the name, reputation and public goodwill of the DOD Components” and supporting the recruitment and retention of personnel. Organized in 1917 as the 1st Expeditionary Division, the 1st Division was among the earliest U.S. combat units in France in World War I and, after being reorganized in 1942, fought in North Africa and Europe in World War II. In 1965, it was sent to Vietnam and suffered an estimated 20,770 casualties before being pulled out in 1970. It has since seen combat in both the 1991 Persian Gulf War and the current Iraq war, as well as peacekeeping operations in the Balkans. The full reach of this history is illustrated by the 28th Infantry, which earned the name The Black Lions of Cantigny in France in 1918. A half-century later, units of the same 28th were still wearing Black Lions patches and assigned to fight communist forces in the old French colonial-era Michelin rubber plantation region of Vietnam. DOD gets a small (I would guess "miniscule") licensing fee which is used for recreation and welfare funds. We’re in the closing weeks of this campaign season, and I know that many different groups, including us, have asked for your support. But, now is the time to dig deep, and help those veterans running for Congress. Today, I’m asking that you send immediate and urgent donations to two such veterans – Eric Massa and Charlie Brown. CLICK HERE TO DONATE AND HELP OUR VETERANS WIN! Both Eric and Charlie are being subjected to swift boat attacks – smears that question their love of this nation, and their service to it. We knew that the other side would become desperate in the waning days of this campaign, so the lowball tactics being used against our veterans is no surprise. Thankfully, we have two things on our side – the truth, and you. Eric Massa and Charlie Brown have a long and distinguished record of military service to this nation, and their love of this nation was demonstrated through that service, and their service to the public after they left the military. But, to get that message out to battle the swift boating, it’s going to take money. CLICK HERE TO DONATE TO CHARLIE BROWN AND ERIC MASSA NOW! Your donations will help Charlie and Eric fund television and radio ads, do on the ground organizing, and organize voter to voter contact, to ensure that truth and honor wins over smears and attacks. So, please help out with whatever you can afford. There’s not much time left in this campaign, and right now, every single penny will help. WASHINGTON (AP) — The Navy is once again reviewing the long-running case of Capt. Michael "Scott" Speicher, the fighter pilot shot down during the first Gulf war and listed as "missing/captured," U.S. officials said Wednesday. Navy Secretary Donald Winter ordered the new review after receiving a report from the Defense Intelligence Agency, which tracks prisoners of war and service members missing in action, said Lt. Sean Robertson, a Navy spokesman. Robertson declined to say what the recent report concluded. But another U.S. official said it found "no new evidence that (Speicher) is alive." He spoke on condition of anonymity because he was not authorized to speak on the record about intelligence. The finding could mean Speicher might finally be declared killed in action, though the official also noted that exhaustive efforts have failed to find any remains of the Navy pilot. The Navy has changed its position on Speicher's status a number of time over the years since January 1991 when Speicher's F/A-18 fighter was shot down over the Iraqi desert on the opening night of the Gulf War. Hours after his plane went down, the Pentagon publicly declared him killed in action. Ten years later, the Navy changed his status to missing in action, citing an absence of evidence that he had died. In October 2002, the Navy switched his status to "missing/captured," although it has never said what evidence it had that he ever was in captivity. Another review was done in 2005 with information gleaned after Baghdad fell to the U.S.-led invasion of Iraq in 2003, allowing U.S. officials to search inside Iraq. The review board recommended in that 2005 review that the Pentagon should work with the State Department, the U.S. Embassy in Baghdad and the Iraqi government to "increase the level of attention and effort inside Iraq" to resolve the question of Speicher's fate. The latest DIA report, done this year, reflects further exhaustive efforts on the case, the U.S. official said. "There has never truly been any hard evidence that he was alive," the official said Wednesday. "But there was enough doubt that (people) questioned the determination that he'd been killed." Winter's new directive means a three-person review board can convene as early as January, Robertson said. After it makes a recommendation on Speicher's status, his family would have a month to comment. A family spokeswoman did not immediately respond to a phone call seeking comment. USS Freedom, the first Littoral Combat Ship, puts to sea for the first time. This will be the first ship in decades to be commissioned in the Great Lakes. The nation's first Littoral Combat Ship, Freedom (LCS 1) – the inaugural ship in an entirely new class of U.S. Navy surface warships. Submitted by hsoria on Thu, 10/16/2008 - 1:28pm. After serving his country in the U.S. Army, Robert W. Spanogle spent three decades serving America's veterans. On Oct. 16, he retired as national adjutant of The American Legion, a position he'd held for more than 27 years. He was replaced by Daniel S. Wheeler, the Legion's executive director at 700 N. Pennsylvania in Indianapolis. Marty Justis, director of the Americanism/Children and Youth Division, was named as Wheeler's successor. While being honored during the Legion's Fall National Executive Committee Meeting in Indianapolis, Spanogle instead chose to extend those honors to the men and women he's served. "You honor me, but frankly, I honor you for the great opportunity to serve for and with you in this great endeavor called The American Legion," said Spanogle, who was named honorary past national commander during the 2008 National Convention in Phoenix, effective upon his retirement. National Commander David K. Rehbein praised Spanogle – the organization's longest-serving national adjutant – for his service to U.S. veterans. "There's a spirit in this room – a spirit left behind by every individual who has served in these offices, been a part of this National Executive Committee, who's been a past national commander. And that spirit is being added to immeasurably by Bob Spanogle," Rehbein said. "I think there is not a veteran in this nation, nor a veteran's family in this nation, who has not been touched by the work that Bob Spanogle has carried on so capably during his 36 years with The American Legion." Past National Commander John "Jake" Comer called Spanogle a valuable asset to all who have served as the Legion's national commander. "All national commanders could stand here like me and say, 'I don't know how I could have gotten through my year without Bob Spanogle.' I couldn't have," Comer said. Appointed to the position July 1, 1981, Spanogle started working for The American Legion at the national level in 1972. He previously served as director of the National Internal Affairs Division in Indianapolis and as executive director of the Legion's Washington, D.C., office. A Vietnam War Army veteran and life member of Oldsmobile Post 237 in Lansing, Mich., Spanogle is a graduate of Michigan State University, where he studied economics and mathematics. While at Michigan State, Spanogle was elected president of the National Association of Collegiate Veterans and served as the association's executive director from 1970 to 1971. Since then, Spanogle has served on various boards, committees and commissions, including the Presidential Commission on Veterans and Military Health Care, and the Children's Miracle Network Board of Governors. He also is a recipient of the Sagamore of the Wabash Award – the highest honor the governor of Indiana can bestow on an individual. And in 2004, he was presented with the Boy Scouts of America Silver Buffalo Award for noteworthy and extraordinary service to youth. The award is Scouting's highest commendation. Wheeler, a Navy veteran who replaces Spanogle as national adjutant, has been executive director of The American Legion's national headquarters since 1995. He has worked for the Legion since 1979, when he was hired as an assistant magazine editor. He was promoted to publisher and editor-in-chief in 1985 and has served as president of the Citizens Flag Alliance since 1994. - It would apply the maximum loan limit to home refinancing, and let homeowners refinance with a veterans’ loan if they have 5% equity in their homes instead of the current 10% requirement. - It would grant spouses of severely injured disabled veterans up to 20 years after the veterans are discharged to use education benefits, twice the time currently allowed. - It would prevent the Department of Veterans Affairs from making changes in its disability rating schedule without first notifying Congress. Burr said the current ratings system is “riddled with outdated criteria that do not track with modern medicine,” especially in the areas of combat stress and traumatic brain injuries. VA has been working on several studies that could lead to an overhaul, but many veterans and lawmakers remain concerned that a change could result in lower benefits. Burr said the bill would “make sure these studies do not get put on a shelf to collect dust” by requiring a report to Congress on the findings and what action is planned by VA. a.) Combat Veteran. A combat veteran is a veteran who served on active duty in a theater of combat operations during a period of war after the Persian Gulf War or in combat against a hostile force during a period of hostilities after November 11, 1998. b.) Combat Zones. Combat zones are designated by an Executive Order from the President as areas in which the United States (U.S.) Armed Forces are engaging or have engaged in combat. An area usually becomes a combat zone and ceases to be a combat zone on the dates the President designates by Executive Order. c.) Minimum Active Duty Service Requirement. The minimum active duty service requirement is the shorter of the following two periods: (1) The full period for which they were enlisted, called or ordered to active duty, or (2) Twenty-four months of continuous active duty. NOTE: There remain categories of veterans who are expressly excluded by statute from the minimum active duty service requirement; e.g., veterans who were discharged or released from active duty for a disability incurred or aggravated in line of duty, those discharged or released from active duty under an early out or hardship discharge, etc. (1) Receipt of an expeditionary medal or other DOD authorized combat related medal. Note: A certificate of award, or presentation of a medal, in and of itself, will not suffice for VA health care eligibility verification purposes without the submission of supporting documentation (such as DD 214, Proof of Receipt of Hostile Fire or Imminent Danger Pay, proof of exemption of Federal tax status for Hostile Fire or Imminent Danger Pay after November 11, 1998), other military service records or orders indicating combat service. (4) Other factors as may be defined in policy and regulation by the Secretary of Veterans Affairs. e.) Hostilities or Imminent Danger Pay. Hostile fire pay is defined as pay to anyone exposed to hostile fire or mine explosion, while imminent danger pay is paid to anyone on duty outside the United States area who is subject to physical harm or imminent danger due to wartime conditions, terrorism, civil insurrection, or civil war. f.) Medals. Afghanistan Campaign Medal, Iraq Campaign Medal, Armed Forces Expeditionary Medal; Global War on Terrorism Expeditionary Medal (does not include Global War on Terrorism Medal); Kosovo Campaign Medal; Southwest Asia Campaign Medal; and other DOD-authorized combat related medals. YMCA MEMBERSHIPS: The Department of Defense announced 1 OCT that families of deployed members of the National Guard and Reserve, active duty service members on independent duty and their families, and active duty service members and their families assigned to selected bases would be eligible for fully funded family memberships at participating YMCAs in their local community. The new program, which is effective immediately, was unveiled in a signing ceremony presided by Under Secretary of Defense for Personnel and Readiness David S.C. Chu. Also signing the document was Assistant Secretary of Defense for Reserve Affairs Thomas F. Hall and the Executive Director of the Armed Services YMCA, retired Navy Rear Adm. Frank Gallo. The YMCA memberships for Guard and Reserve families will be available while the service member is deployed for a minimum of six months. The deploying service member will also be eligible for three months pre- and post-deployment membership to help promote family participation. Active duty families assigned to independent duty stations, such as recruiting and ROTC assignments and not currently receiving support from the service component will also be eligible for memberships at participating YMCAs. Single service members are eligible for fitness center memberships up to $50 a month. Active duty families at selected bases will also be eligible for YMCA memberships as part of a pilot program. - Someone in the world is newly infected with TB bacilli every second. - Overall, one-third of the world's population is currently infected with the TB bacillus. - 5-10% of people who are infected with TB bacilli (but who are not infected with HIV) become sick or infectious at sometime during their life. People with HIV and TB infection are much more likely to develop TB. - Hemoptysis - the coughing up of blood. The blood may appear as pinkish froth, mucus with a bloody streak or clot, or pure blood. Hemoptysis may be the result of forceful coughing or a sign of a serious respiratory illness. If you are experiencing any of the above signs and symptoms of tuberculosis, see your doctor immediately. Ask your doctor or nurse if you have other questions about latent TB infection or TB disease. For more information on the signs and symptoms of TB refer to http://www.cdc.gov/features/tbawareness/ . MEDICARE PART D UPDATE 27: The official numbers have not yet been released, but it appears that well over one million low-income people with Medicare will be randomly reassigned to a new Part D drug plan for 2009 because their current plan will no longer qualify for a full premium subsidy. An analysis revealed that, nationwide, there will be a total of 308 [prescription drug plans] qualified to serve low-income Medicare beneficiaries in 2009, almost 200 fewer than in 2008. These almost-200 plans covered approximately 1.3 million individuals who will now need to be reassigned. That number is up from 1.2 million individuals who CMS reassigned in 2008 and 250,000 individuals in 2007. In New York State alone, over a quarter million low-income people, most of whom used to receive stable, comprehensive drug coverage under Medicaid, are enrolled in plans with premiums that are rising above the benchmark used to calculate the premium subsidy. Over 150,000 are in five plans that were assigned new low-income enrollees for the first time in 2008, but will be losing them to competing plans at the end of the year. About one-third of these people are getting bumped from one plan to another for the second time. That means that, in New York alone, for the second year in a row, tens of thousands of low-income people with Medicare will find themselves in a new plan, with a new list of excluded or restricted drugs. Anyone who managed to receive prior authorization for their medicines when they started a new plan last January will have to go through the same bureaucratic nightmare with the new company this January. This year’s plan is not required to transfer records to next year’s plan and next year’s plan is not required to look at the medication history of its new enrollees. This is nuts. The lives being dealt around to insurance companies like cards at a poker table include the most vulnerable people who receive Medicare. They are more likely to have a mental illness or a cognitive impairment, such as dementia. They are more likely to be widowed and live alone, without the benefit of a caregiver who could help them choose a plan that covers their drugs. An appeals system that regularly frustrates experienced advocates, including trained lawyers, is an insurmountable challenge for people who will learn at the pharmacy counter in January that their diabetes or blood pressure medicine is not covered under the new plan. - The benchmark used to determine the maximum premium subsidy should be calculated on the basis of the real cost of providing prescription drug coverage. - The excess subsidies that Medicare private health plans use to buy down their drug premiums should not be used to depress the maximum premium subsidy. - If the benchmark were calculated based on the real cost, it would raise the subsidy level, increase the number of full-subsidy plans and reduce the number of low-income people facing reassignment. - People should be reassigned to the plan that covers the highest number of their drugs with the fewest restrictions. - Computer-savvy consumers can use Medicare.gov to pick the plan that best suits their needs. Low-income people with Medicare who have difficulty navigating the plan selection process deserve the same care and attention when the government picks their plan for them. VA HEALTH CARE FUNDING UPDATE 16: The chairs of the House and Senate Veterans’ Affairs committees have introduced legislation, to be taken up next year, to ensure timelier and fully funded budgets for the VA health care system. Proponents say passage of the Veterans Health Care Budget Reform Act (H.R. 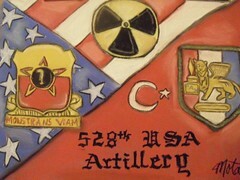 6939 and S. 3527) also might lead to a gradual reopening of VA health care to thousands of priority group 8 veterans. These are veterans with no service-connected ailments and, by government standards, adequate income. Priority group 8 enrollments were stopped in 2003. The thrust of the VA health budget reform bill, however, is to approve VA health care funds a year in advance and end a disturbing pattern by Congress of passing VA budgets months after the budget year begins 1 OCT. These two- and three-month delays have forced VA hospitals and clinics to operate with funds frozen at previous year levels, creating supply and staff shortages, hiring freezes, and delays in equipment purchases. The health care budget reform bill would put the VA health care budget under an “advance appropriation” schedule. If it were in effect this year, Congress would be passing a VA health budget now to take effect OCT 09. Part 2 of the package would improve the level of VA health care funding by requiring the department to use a new actuarial model that quite accurately can project the per capita cost of providing health care to the VA’s enrolled-patient population. The GAO would be tasked with verifying the accuracy of VA health care cost projections each year. Therefore, if the VA proposed a health budget short of requirements, the White House would feel the political heat and would have to explain both to Congress and to veterans why health services were being targeted for reductions. This legislation is an innovation from the Partnership for Veterans Health Care Budget Reform (PVHCBR), a group of eight veteran-service organizations: AMVETS, the Blinded Veterans Association, Disabled American Veterans, Jewish War Veterans, the Military Order of the Purple Heart, Paralyzed Veterans of America, the American Legion, VFW, and Vietnam Veterans of America. In introducing their plan as a bill, Rep. Bob Filner (D-CA) chair of the House committee, called it a “historic new approach to guarantee that our veterans have access to comprehensive, quality health care.” Sen. Daniel Akaka (D-HI), Senate committee chair, said it would end VA budgets that are “untimely and unpredictable.” A bipartisan group of cosponsors came forward in both chambers. Joining Akaka were Sens. Olympia Snowe (R-ME), Tim Johnson (D-SD), Mary Landrieu (D-LA), Russ Feingold (D-WI), Ted Stevens (R-AK), Lisa Murkowski (R-AR), and John Thune (R-SD). Cosponsors with Filner in the House were Reps. Walter Jones (R-NC), Michael Michaud (D-ME), and Phil Hare (D-IL). The veterans’ group partnership choose a new path toward VA health care budget reform after Congress declined year after year to back a law that would mandate full funding of the VA health care system for every veteran needing care. Lawmakers argued it would limit congressional prerogatives. It also would expand VA entitlements in violation of the pay-as-you-go budget rule that the cost of any new entitlement be offset by a cut in another entitlement account or by raising taxes. • Self-monitoring blood glucose system test strips (SMBGS): SMBGS recommended for the Uniform Formulary were: Accu-chek Aviva, Precision Xtra, Freestyle Lite, and the Ascensia Contour. All others were designated as non-formulary. Under this recommendation, beneficiaries who currently use designated non-formulary SMBGS will be given a free formulary SMBGS meter of their choice. All of the BAP members felt the implementation time of 120-days was inadequate and voted against it. • Overactive Bladder Drugs: Oxybutynin patch (Oxytrol) was designated to move from non-formulary to formulary status. Two drugs were designated to be moved to the non-formulary status: tolterodine IR (Detrol) and trospium IR (Sanctura) following a 90-day implementation period. • Newly Approved Drugs: Two drugs, Desvenlafaxine (Pristiq) used to treat depression and Nisoldipine geomatrix (Sular geomatrix) for the treatment of hypertension, were designated as non-formulary with a 60-day implementation period. These medications were only recently introduced, so relatively few beneficiaries are taking them. The recommendations will be submitted to the Assistant Secretary of Defense (Health Affairs) for final decision. CT VET PROPERTY TAX: Governor M. Jodi Rell announced 30 SEP that she has directed the Connecticut Department of Veterans Affairs and the Office of Policy and Management to help ensure disabled service-connected veterans receive their annual property tax abatement benefits. Governor Rell was notified today by the United States Department of Veterans Affairs (USVA) of a change the federal government made in the procedure when it comes to disabled veterans filing the proper tax abatement paperwork with their tax assessors’ office. Upon receiving this background today from the USVA on the change in the filing procedure, Governor Rell immediately notified town assessors and their respective mayors and first selectmen. She said the state Department of Veterans Affairs (DVA) and the Office of Policy and Management will work closely with the USVA and local tax assessors to ensure that disabled service-connected veterans receive their required annual tax abatement documentation and have time to file it with their local municipality. Governor Rell will also be contacting the USVA to protest the short notice given to disabled veterans and tax assessors regarding how the federal government verifies veteran disability ratings for local tax purposes. veterans may also visit one of the Connecticut Department of Veterans’ Affairs (CTDVA) district offices in Bridgeport, Newington, Norwich, Rocky Hill or West Haven for assistance. CTDVA staff will be able to submit requests for disability verification letters to the USVA on behalf of disabled veterans. VA CLAIMS BACKLOG UPDATE 19: Lawmakers have high expectations that they can reduce the backlog and processing time for veterans’ benefits claims through a combination of new procedures, including two pilot projects. The Veterans Benefits Improvement Act of 2008, which passed Congress on Saturday and is being prepared for submission to the White House for President Bush’s signature, pushes the Department of Veterans Affairs to use electronic filing and processing of claims to try to improve the speed of claims decisions, reduce the disparity in decisions involving similar issues and cut the number of claims decisions that end up being overturned. The bill also creates a new authority to provide a temporary disability rating for some veterans who have severe and multiple disabilities that are not fully healed. Stabilized and unstabilized disabilities that have an impact on employment could be considered in assigning the temporary rating that would be used to provide disability compensation during the first year after leaving the military. One of the pilot projects ordered by the compromise bill requires special, expedited treatment for disability claims where the veteran had the help of a veterans’ service officer to prepare the paperwork. This one-year test would be carried out in at least 10 regional offices. A second pilot project, to run over three years in at least four regional offices, would have processors and veterans use a checklist when submitting claims in an effort to bring more organization and uniformity to the claims process. The bill also gives VA one year to develop a program using information technology to process claims that would allow veterans to file applications and to track the progress of their claim online. Several provisions in the bill were drawn from a claims modernization bill sponsored by Rep. John Hall (D-NY) and Sen. Hillary Clinton (D-NY) that attempts to improve training for VA workers who are processing claims and to change how employees are evaluated. Hall said processing a first-time claim by a disabled veteran can take 180 days and even longer if a veteran appeals the initial decision. The long processing time is part of the reason there is a backlog of about 400,000 claims awaiting a decision by VA.
- SB 1675 by Senator Dave Cox (R-Fair Oaks) provides that a Resolution of Issuance approved by the Veterans’ Debenture Finance Committee may give the Department of Veterans Affairs the discretion to structure the terms and conditions of any issuance of Revenue Bonds for the CalVet Home Loan Program. - SB 1401 by Senator Joe Simitian (D- Palo Alto) requires the Department of Veterans Affairs and the Military Department to develop plans to reach out to Guard members or veterans returning to California from combat and assist them in obtaining a screening for Post Traumatic Stress Disorder and Traumatic Brain Injury. - AB 3083 by the Assembly Committee on Veterans Affairs requires the Department of Health Care Services (DHCS), in conjunction with the Department of Mental Health (DMH), to seek all available federal funding for mental health services for veterans. The bill also extends mental health services provided by the Adult and Older Adult Mental Health System of Care Act to include veterans, and requires counties to provide mental health services to veterans to the extent such services are available to other adults. The bill defines a serious mental disorder or illness (SMI) to include bipolar disorder and post-traumatic stress disorder (PTSD), and requires DMH to include services for veterans within target population service standards. - SB 1353 by Senator Gloria Negrete McLeod (D-Montclair) authorizes a state employee who is a member of the National Guard or Reserves to receive specified compensation benefits for four additional years, if ordered to serve on and after September 11, 2001, as a result of the War on Terrorism. - SB 1534 by Senator Jim Battin (R- La Quinta) authorizes uniformed public safety personnel in California to wear decorations or medals authorized by the Military and Veterans Code, the U.S. Armed Forces, the National Guard or the Military Reserve or Naval Militia on and around Veterans Day and Memorial Day. - AB 190 by Assembly Speaker Karen Bass (D- Los Angeles) authorizes, after local approval, veterans whose vehicles display one number of military special-recognition license plates to park in metered parking spaces without charge. - AB 2049 by Assemblymember Lori Saldaña (D-San Diego) requires the Superintendent of Public Instruction to convene a task force to review and make recommendations regarding the Interstate Compact on Educational Opportunity for Military Children and to report to the Legislature by 1 JAN 09. - AB 3065 by the Committee on Veterans Affairs enables veterans who have retired from active military service, were honorably discharged from active duty with a service-connected disability or honorably discharged from active duty to apply for state civil service promotional examinations. - SB 1495 by Senator Christine Kehoe (D-San Diego) allows a taxpayer to retain the disabled veteran’s property tax exemption in the case of a partial loss of the taxpayer's home due to a misfortune or calamity, and a full or partial loss due to a major disaster for which the governor has declared a state of emergency. - AB 2171 by Assemblymember Paul Cook ( R-Yucca Valley ) which begins the process towards the construction of the Purple Heart Memorial in State Capitol Park in Sacramento . - SB 1455 by Senator Dave Cogdill (R-Modesto), which authorizes the creation of the Gold Star Family License Plate and allows a family member of a member of the U.S. Armed Forces killed on active duty to apply for the plate containing a gold star and the words "Gold Star Family." As a token of the state's appreciation for their sacrifice, the bill provides a special waiver of fees for Gold Star Families. MEDICARE FRAUD UPDATE 10: The Centers for Medicare and Medicaid Services announced 6 OCT it is ramping up efforts to detect fraud that costs the agency millions in fake billing for home health services and durable medical equipment never delivered. CMS officials said the agency is launching a national recovery audit contractor program that will track businesses whose billing for Medicare services trends higher. CMS also is taking additional steps in specific states where fraud is the most rampant. "Because Medicare pays for medical services and items without looking behind every claim, the potential for waste, fraud and abuse is high," CMS Acting Administrator Kerry Weems said in a statement. "By enhancing our oversight efforts we can better ensure that Medicare dollars are being used to pay for equipment or services that beneficiaries actually received while protecting them and the Medicare trust fund from unscrupulous providers and suppliers." Durable medical equipment suppliers, who provide such equipment as oxygen supplies or power wheelchairs, have faced increasing heat as lawmakers search for areas of Medicare's budget to trim and Senate Republicans make fighting Medicare fraud their major healthcare focus. 1781 - British troops under General Lord Charles Cornwallis surrendered to General Washington at Yorktown, Virginia, effectively ending the American Revolution. 1775 - The US Navy was established. 1901 - The first British Navy submarine was commissioned. 1950 - The invasion of North Korea started. 1957 - The Soviet Union launched Sputnik I, first man-made earth satellite. 1962 - The U.S. began its blockade of Cuba to compel the Russians to remove long-range missiles aimed at the U.S.
1964 - The Chinese exploded their first atomic bomb. 1965 - The Battle of the La Drang Valley, Vietnam War. 1968 - The Bombing of North Vietnam ended. • Driver’s license or ID issued by a state or outlying U.S. commonwealth or possession ID card issued by federal, state or local government agencies or entities. • Requires the Secretary of Defense, in consultation with the Chairman of the Joint Chiefs and the Chief of the National Guard Bureau, to develop a strategic plan to enhance the role of the National Guard and Reserve, taking into account the report of the Commission on the National Guard and Reserve and the recently introduced National Guard Empowerment Act and State-National Defense Integration Act of 2008. - Spouses of military service members who are on active duty under orders that authorize a permanent change of station move assuming the spouse is moving, too. - Spouses of totally disabled retired or separated members of the armed forces. - Widows or widowers (who have not remarried) of service members killed on active duty. VA FRAUD UPDATE 14: Three Lowell MA residents residing in the same household are facing federal charges that they bilked disabled vets living at the Edith Nourse Rogers Memorial Veterans Hospital in Bedford MA out of thousands of dollars through identity fraud. Wilfredo Hernandez, 41, has been indicted on charges of conspiracy to commit fraud, identity fraud and access-device fraud, as have his 60-year-old mother, Gladys Hernandez, and his 27-year-old girlfriend, Jessica Rivera. The Hernandezes were both released on a $10,000 unsecured bond 29 SEP after their initial appearance in federal court. Rivera will appear before the court 9 OCT. Federal investigators allege that Wilfredo Hernandez, who worked at the Edith Nourse Rogers Memorial Veterans Hospital in Bedford as a custodian for about 20 years, and Rivera, a nurse's assistant for about seven years, stole credit-card information, bank-account numbers and blank checks from a handful of veterans. They then shared the stolen information with Gladys Hernandez before using it to pay bills and purchase goods online and by telephone, the indictment says. They also allegedly made out the stolen checks to other family members, who would then hand over that amount in cash. ALS UPDATE 05: On 23 SEP 08 the Department of Veterans Affairs (VA) announced that all veterans with amyotrophic lateral sclerosis (ALS) would become presumptively compensable for the illness. This would apply to all veterans with 90 days or more of continuously active service in the military regardless of when or where they served. VA will provide disability pay, lifetime health care and death benefits. The 10-year cost for death and disability benefits is projected at $505,839,000, said Tom Pamperin, the deputy director of the compensation and pension service at the Veterans Affairs Department. That figure does not include health care costs. VA Secretary Peake based his decision primarily on a NOV 06 report by the National Academy of Sciences' Institute of Medicine (IOM) on the association between active-duty service and ALS. The report, titled Amyotrophic Lateral Sclerosis in Veterans: Review of the Scientific Literature, analyzed numerous previous studies on the issue and concluded, ‘there is limited and suggestive evidence of an association between military service and later development of ALS.’ Studies indicate veterans are twice as likely to develop ALS as people with no history of military service. "This is a disease that progresses rapidly, once it is diagnosed. There simply isn't time to develop the evidence needed to support compensation claims before many veterans become seriously ill. My decision will make those claims much easier to process, and for them and their families to receive the compensation they have earned through their service to our nation." ARLINGTON NATIONAL CEMETERY UPDATE 03: Arlington National Cemetery, the final resting place for more than 340,000 soldiers, presidents and other distinguished Americans, has moved a step closer to adding thousands of grave sites. On 16 SEP Arlingtoin County officials approved a 4.3-acre land swap with the federal government that will allow the cemetery to add as many as 3,440 burial sites. The move is part of expansion plans set forth more than four decades ago that military officials say will allow burials to continue until 2060. After that, plans are less clear. The 4.3-acre portion will convert Navy Annex land west of the Pentagon to grave sites. Arlington County's Southgate Road would have divided the new cemetery space. The county will swap land that includes the road for a comparable piece of the annex that the county can use for a potential history complex and for redevelopment along Columbia Pike. The exchange is scheduled for 2011, although that timeline could change, federal and local officials said. FILIPINO VET INEQUITIES UPDATE 10: In a compromise that could end a contentious debate over whether the U.S. still owes a debt to Filipinos who served alongside American troops in World War II, the House Veterans Affairs Committee approved a plan 17 SEP for a one-time payment to surviving veterans instead of an annual pension. But if veterans were to take the payments spelled out in HR 6897 — $15,000 for U.S. citizens and $9,000 for noncitizens — they would waive the right to ever receive another pension for their World War II service if the federal government were to someday pass a more generous bill. About 18,000 Filipinos would qualify for payments under the bill, according to estimates prepared by the Congressional Budget Office. Disagreement over the pensions and how to pay for them has been the chief cause of deadlock on veterans’ benefits legislation. The Senate passed a benefits bill, S 1315, that included the Filipino pensions, but there was no final vote on the House’s bill, HR 760, because of complaints about a plan to grant special pensions to Filipino Scouts and other veterans who worked with the U.S. in World War II — $3,600 a year for single veterans and $4,500 for married veterans. Some lawmakers and veterans’ groups said the $221 million annual cost would be better spent on immediate needs for U.S. veterans and their families, especially Iraq and Afghanistan combat veterans. § Lt. Gen. James Terry Scott (ret.) of Coleman, Texas. Partner at Watson & Associates, a financial services firm. He also teaches political science at Howard Payne University in Brownwood, Texas. He is a member of the Board of Directors of CALIBRE Corp., a technical services company based in Alexandria, Va.
§ Charles Battaglia of Alexandria, Va. Member of the board of directors for the Wounded Warrior Project. A retired naval officer, he previously served as executive director of the 2005 Defense Base Closure and Realignment Commission and also as a senior staff member of the U.S. Senate, serving in several positions. § Robert J. Epley of Waxhaw, N.C. Independent consultant working in the areas of strategic planning, training, performance management and the operations of federal entitlement programs. Mr. Epley served with VA for 31 years, most recently as director of the Compensation and Pension Program. § Lt. Gen. Thomas Carney (ret.) of Alexandria, Va. Member of board of directors of CALIBRE Corp. He has been an independent consultant to numerous companies, include CALIBRE, since his retirement in June 1994. Previously, Carney was chief executive officer for the Library of Congress. He spent 31 years on active duty in the Army. § Maj. Daniel Gade of Athens, Ga. Former associate director for domestic policy for the White House's Domestic Policy Council, where he was responsible for disability and health care issues, as well as matters relating to active military personnel and veterans. As an Army officer, he was the first person in this position to be on active duty since the post was created in 2001. § Robert Burke, PhD, of Bethesda, Md. Associate professor and chair of the Department of Health Services Management and Leadership, and director of the Wertlieb Educational Institute for Long-Term Care Management at George Washington University. § Bonnie Carroll of Anchorage, Alaska. National director for Tragedy Assistance Programs for Survivors (TAPS), the national veterans service organization that provides peer support, grief and trauma resources and information, casualty casework assistance and crisis intervention for veterans and their families. An Air Force reservist, she previously served as the deputy senior advisor for programs in the Ministry of Communications, Coalition Provisional Authority, in Baghdad, Iraq, and as the deputy White House liaison for VA.
§ Dr. Ronald Blanck of Fenwick Island, Del. Vice chairman of Martin, Blanck and Associates. Prior to joining the firm in June 2006, Dr. Blanck served as president of the University of North Texas Health Science Center at Fort Worth, Texas, from August 2000 until June 2006. He is an Army veteran, finishing his career as the Surgeon General of the Army and commander of the U.S. Army Medical Command. § Deneise Turner Lott of Jackson, Miss. Administrative judge with the Mississippi Workers’ Compensation Commission since November 1988. She is currently senior judge and is the first woman to hold that position. She was engaged in private law practice with an emphasis on disability claims before joining the commission as a staff attorney. § Edward R. Reese Jr. of Washington, D.C. National service director for the 1.3 million-member Disabled American Veterans. A disabled Army veteran of the Gulf War, Reese works at DAV’s National Service and Legislative Headquarters in Washington. § Dr. Richard T. Katz of St. Louis. Professor of clinical neurology at Washington University School of Medicine with an appointment to the Barnes Jewish Hospital. He is a primary reviewer of several different medical journals and has interests in evaluation of disability and assessment of pain. GI BILL UPDATE 29: In the remaining 3½ months of the Bush administration, the nominee to head the Veterans’ Benefits Administration knows he cannot put much of a dent in the backlog of benefits claims, nor significantly reduce the time it takes for claims to be processed. But retired Rear Adm. Patrick Dunne, nominated to be VA’s undersecretary of benefits, said 17 SEP he will concentrate on setting the stage so things work more smoothly for the next administration. Getting VA ready to pay Post-9/11 GI Bill benefits when that program takes effect on 1 AUG 09, is a top priority, Dunne said. Continuing to prepare for a future paperless claims system and completing a review of disability ratings issues so the next administration could reform benefits are two other things he’d like to get done in the remaining months of the Bush presidency. Dunne, currently VA’s acting benefits director, appears to have strong support among members of the Senate Veterans’ Affairs Committee. But congressional aides, speaking on the condition of anonymity, said getting a full Senate vote on the nomination could be difficult because of concerns among some senators about veterans’ issues not directly related to Dunne. The aides would not name the senators. Sen. Daniel Akaka (D-HI), veterans’ committee chairman, strongly endorsed Dunne. The committee’s ranking Republican member, Sen. Richard Burr of North Carolina, also endorsed Dunne, saying the nominee could help set in motion changes at VA to help veterans in the future. DOD DISABILITY EVALUATION SYSTEM UPDATE 11: In JAN 08 Congress ordered the Pentagon to drop its disability ratings rules and strictly follow the VA’s criteria in assigning ratings to injured and wounded service members. In March, the Army said it would comply. All the other services were to follow suit. The change in law was among the most significant changes to emerge in the wake of 2007’s Walter Reed scandal. Veterans’ groups hailed the change, having complained for years that the military had shortchanged wounded combat veterans on their disability ratings and compensation. But seven months later, the Army still isn’t living up to its promise, at least not when it comes to assessing troops suffering from post-traumatic stress disorder. The VA ratings schedule says PTSD sufferers should receive a minimum 50% disability rating from the rating agency and then be reassessed within six months to determine if the initial evaluation should be changed for the longer term. But a number of soldiers suffering from PTSD have been given disability ratings of just 10%, and then separated from service without the required follow-up assessment. Worse, the Pentagon seems to be gearing up for a broader policy change that would take this approach to PTSD across all the armed services, according to veterans’ advocates. This should hardly come as a surprise — it is just the latest in a string of unconscionable decisions coming from the office of Pentagon personnel chief David Chu. This is the same executive who sought to cut combat pay for troops in the war zones and once proposed shunting off the Defense Department’s obligations for military retirees onto the VA. Over the past three years, he has advocated doubling and tripling some of the health care fees paid by many military retirees. And just a few weeks ago, Chu narrowed the definition of “combat related” to reduce the number of disabled troops who might benefit under another provision of the 2008 Defense Authorization Act, which says some disabled troops do not have to return any severance pay they receive from the military before they can draw disability payments from VA. Chu’s definition of combat related is significantly narrower than the one already in use to determine eligibility for a separate program for disabled retirees called Combat Related Special Compensation. SOCIAL SECURITY FUND DEPLETION UPDATE 07: Our Social Security system, enacted in 1935, has certainly withstood the test of time. Having paid benefits to over 100 million retired and disabled workers and their families, Social Security has indisputably had a positive impact on our society. It’s also indisputable, however, that the system has required occasional adjustments to continue functioning well. The last time was in 1983, following a period of slow economic growth and very high inflation that had drained the trust fund. Without the 1983 legislation, timely benefit payments could not have been made starting in JUL 83. The law was changed in April, and just in time. According to Social Security’s 2008 trustees’ report, released in March, the program won’t face a 1983-type crisis for many years, but the program’s cash flow is projected to move into the red in 2017, the first of several critical dates cited by the trustees. While reasonable people can debate the significance of 2017 or even 2041 (the projected date of trust fund exhaustion), the underlying financial picture is not in dispute. Social Security needs a course correction to continue fulfilling its mission. Some people believe that concerns about Social Security’s financial soundness are entirely attributable to the baby boomers, who began claiming Social Security retirement benefits just this year, with millions more to come over the next two decades. But the baby boomers are only part of the problem — and a temporary part. Long after all the baby boomers have departed, Social Security’s income will cover only about three-fourths of its cost. This permanent imbalance is partly attributable to increasing longevity. As beneficiaries live longer, their total expected benefits increases. Without action, Social Security’s income won’t keep pace with these ever-increasing benefit obligations. Social Security’s retirement age is part of the problem. While Social Security’s financial soundness could be restored in many different ways, the American Academy of Actuaries (AAA) believe that any solution package should include increases in the retirement age. The Social Security Amendments of 1983 raised the normal retirement age from 65 to 67 over three decades. But it’s frozen at 67 for all workers born after 1959. We shouldn’t stop there. Holding the retirement age constant is a certain prescription for future financial problems. Raising it to reflect increasing longevity would contribute to solving those problems. The AAA believes that a financially sound Social Security system must accommodate future increases in longevity. The most direct way to do that would be to extend the currently scheduled increases min Social Security’s retirement age. The time to enact this change is now. • You could end up with a punitive increase in your interest rate. • You could receive a demerit on your credit report that may affect your other accounts. CREDIT CARD LATE FEES UPDATE 01: Credit card companies may be advertise lower interest rates to lure new customers, but over the past decade credit card fees have nearly tripled. These six tips can help you save money on your credit cards by avoiding credit card late fees. 2. Automate your payment - An automatic payment will help you avoid credit card late fees by making sure your payments are always on time. Be sure to designate a monthly amount that will cover your minimum payment and pay down a part of the principal. If you only pay the minimum payment each month, you will never get rid of the debt. 3. Pay by Phone - If you usually send your credit-card company a check by mail, consider paying by phone if your due date is getting close. Although some credit-card companies charge a fee for payments made by phone, typically $15 or less, that’s usually cheaper than paying the credit card late fee. 4. Talk to Your Credit-Card Company - If you’re charged a credit card late fee by your credit card company, but you usually pay on time, call and complain. Many credit companies will waive credit card late fees at least once for customers with good payment records. 5. Read the Fine Print - Checking out all of the conditions and restrictions associated with your card will help you avoid credit card late fees. In particular, find out if your credit card is subject to "universal default". If it is, consider switching to a card that doesn’t have a universal default clause as part of its agreement. 6. Add Up the Cost and Resolve to Be Debt-Free - Sometimes when people get in a cycle of late payments, they stop thinking about the extra cost. If you often pay credit card late fees, add up how much those fees cost you in a year. You may be surprised at how much money you could put into savings if you weren't giving it away to credit card and other finance companies for late fees. The best way to avoid credit card late fees and other credit card charges is to pay off your balance every month, and to make sure the payment is on time. That may be easier said than done, but living debt-free is a worthwhile goal you can achieve with careful planning, patience, and consistent effort. VA CLOTHING ALLOWANCE: In accordance with PL 110-111Veterans, who because of a service-connected disability, wear or use a prosthetic or orthopedic appliance (including a wheelchair) which tends to wear out or tear clothing, and veterans, who because of a service-connected skin condition use a medication that causes irreparable damage to outer garments, are eligible for payment of an annual clothing allowance. The allowance as of 1 DEC 07 for 2008 was $677 per year. It is recommended that you mark your calendar and apply for your 2009 allowance by 1 JUN 09 to allow ample time for VA to process it and avoid missing the 1 AUG cutoff date. To qualify for annual payment, eligibility must be established as of 1 AUG of the year for which payment is claimed. 1. Qualifying appliances would include an artificial limb, rigid extremity brace, rigid spinal or cervical brace, wheelchair, crutches or other appliance prescribed for the claimant’s service-connected disability. Soft and flexible devices, such as an elastic stocking are not included. 2. Qualifying medications would include any medication, prescribed by a physician for a service-connected skin condition, which causes permanent stains or otherwise damages the veteran’s clothing.